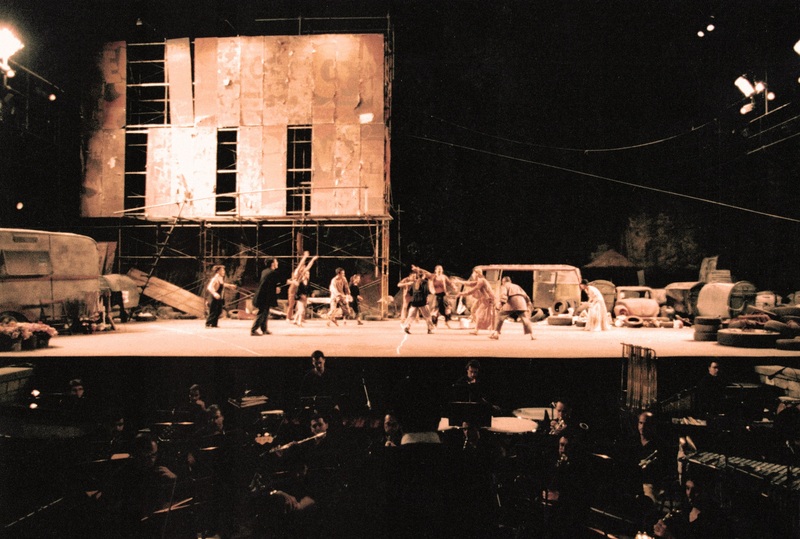 Design of the scenery for the dance montage at Barcelona’s Teatre Grec and Teatre Poliorama. 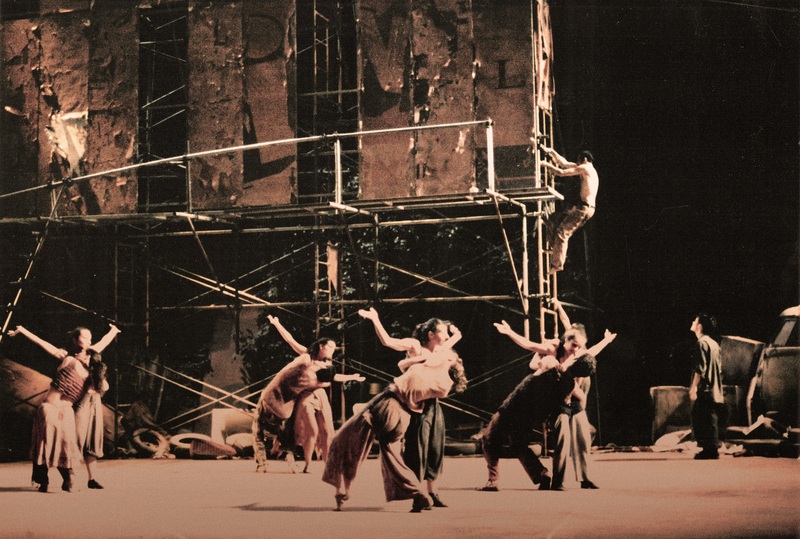 Ramón Oller was the choreographer and artistic director of this version of the ballet Romeo and Juliet with a score by Sergei Prokofiev. Oller sought to reinterpret this classical work in a contemporary vein by setting it in a gypsy encampment. 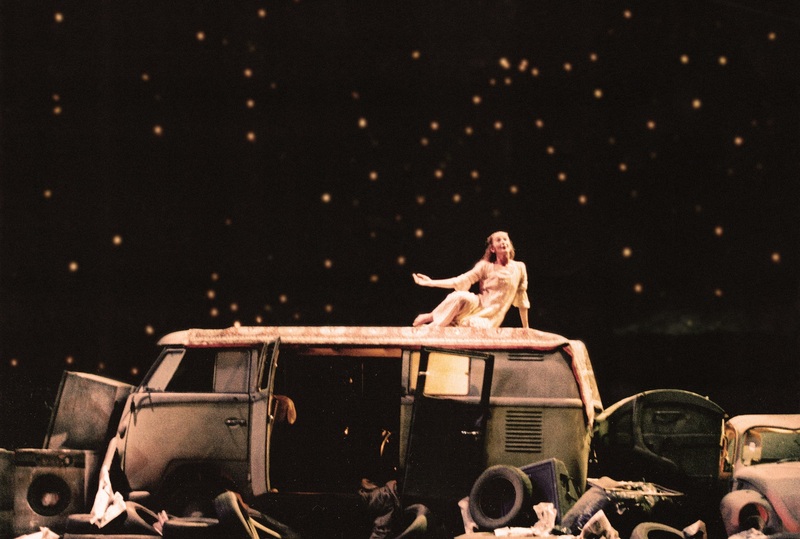 To bring this unusual imagery to life, we designed a composition that integrated all three main elements of the adapted play: an old caravan which served as Romeo’s house and a Volkswagen van which was Juliet’s dwelling. 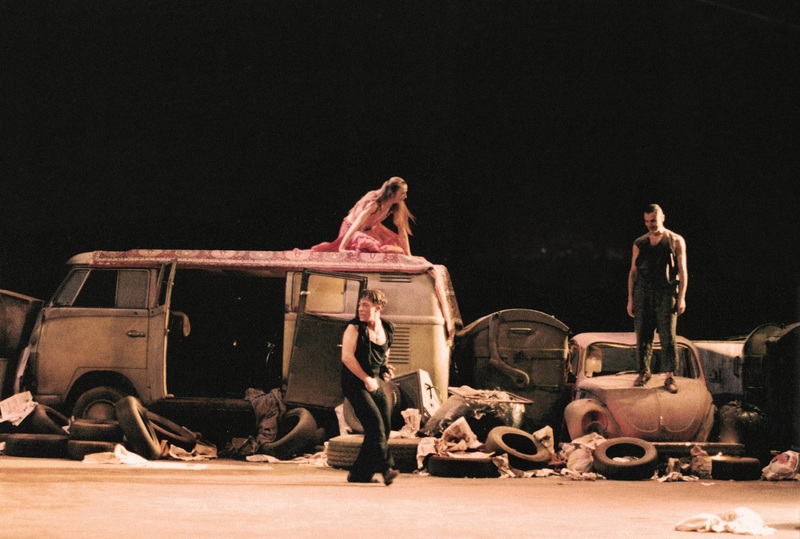 These vehicles had been purchased in a scrap yard and were placed on either side of the stage. Between them was the castle of Mercutio, the intermediary between the two lovers. 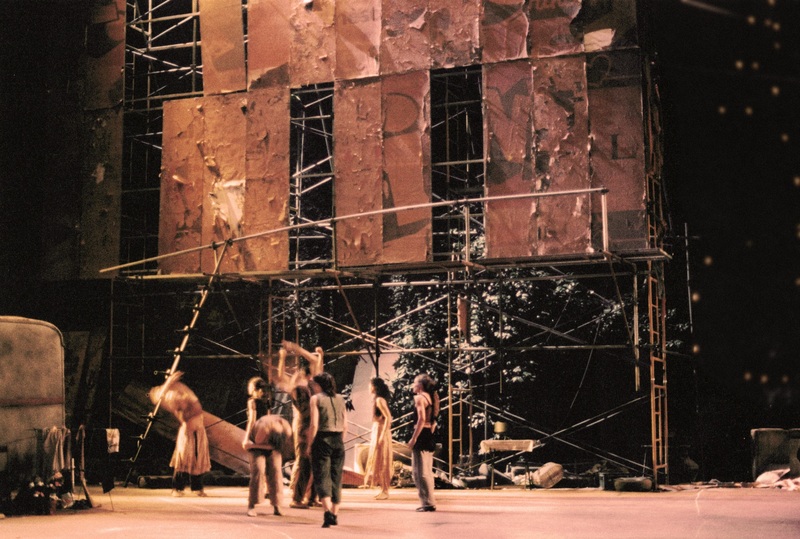 This construction was translated scenographically into abstraction and monumentality: a large advertising billboard built with scaffolding and steel sheets which actually advertises nothing and is twisted to look away from the audience. Between these three pieces is the empty space where the characters interact. 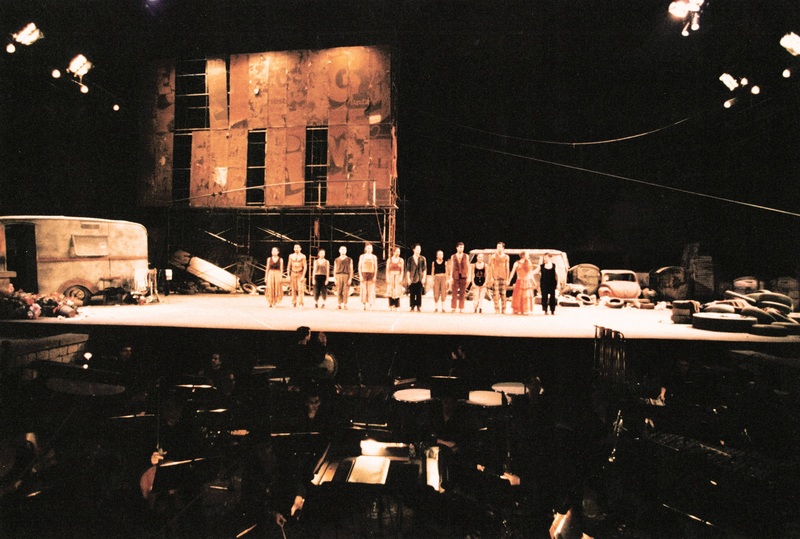 The outcome is a composition which is reminiscent of a mock still life, with a touch of magic but also of decline, representing nothing other than the moral decadence of the characters in the tragedy. 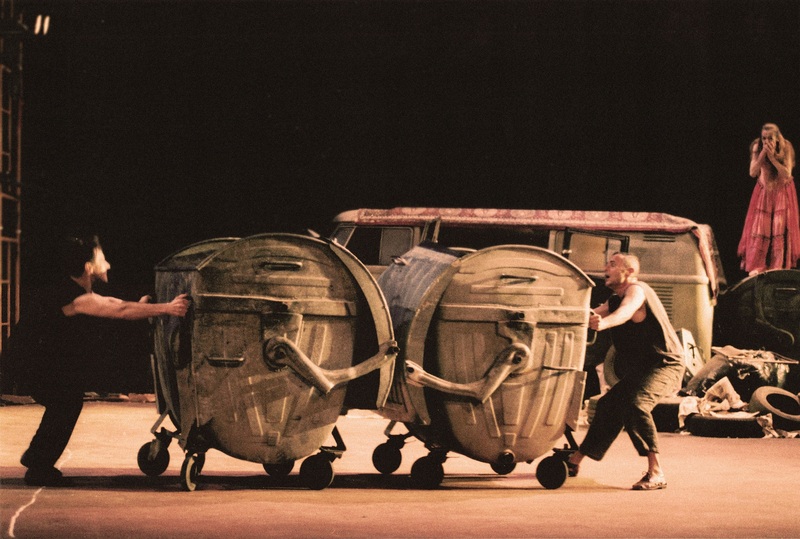 The setting was completed with tyres, debris and rubbish bins with which the dancers interacted during the characters’ confrontations. A layer of rust-coloured paint was applied, which counteracted the naturalism of the scene by stylising and abstracting the whole. The result was a romantic world, yet one that was also strange and disturbing, the shadow of a splendour that no longer existed.